The fourth installment in the Elite series. The game is a space simulator created again by David Braben and the Frontier studio. Elite: Dangerous for PC, XONE and PS4 is the fourth installment in a series of open-world space simulators. The game was created by Frontier Developments - a team led by David Braben. The action is set in distant future, when humanity managed to colonize countless stellar systems. The game world is dominated by three superpowers, namely the Empire, the Federation and the Alliance. However, these entities are not in control over the entirety of inhabited space - not even the majority of it. Beyond the areas controlled by the three dominant factions, anarchy and lawlessness is commonplace and potential profits which can be made here are frequently worth the risk. 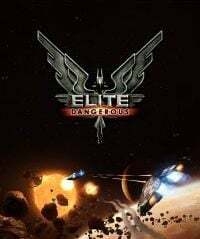 Elite: Dangerous for PC, XONE and PS4 is based on simple principles - the player is given a small spaceship at the very beginning, along with a small amount of money for a start. Then the player is thrown into a faithfully recreated representation of the Milky Way, with all its known objects and 400 billion stellar systems created with respect towards their actual scale and laws of physics, as well as in accordance with the knowledge of astronomy. The player decides themselves about their next action here – one can become a space merchant, smuggler, pirate, bounty hunter, assassin, discoverer or a miner. Obviously, any of these activities can be combined with another in different ways. The game features a complex flight simulation in zero-gravity conditions and entertaining mechanics behind space combat, though a trader's carrier is equally interesting. As an effect of the player's actions and simulational procedures implemented into the game world, the galaxy undergoes constant changes, which affect the economy, security or power and relations between smaller factions in each of the inhabited stellar systems. This consequently influences prices and quantity of goods, types of missions available, pirate activity or interstellar conflicts the players can join. Pilots have direct influence on the balance of powers in the galaxy. In each station, the player can access daily information concerning the most interesting events taking place in the galaxy - both those caused by players and the ones scheduled by the game's creators. Billions of stars, planets, nebulas or black holes await the players who wish to become discoverers and leave the inhabited space. Apart from fame and satisfaction, long and dangerous journeys into the unknown bring profits in the form of high rewards received for delivering information on particularly interesting objects. Elite: Dangerous for PC, XONE and PS4 is a hundred per cent online game - the action takes place in one dynamic world shared by all the players. However, the creators offer several modes contained within this main structure. Open play is a multiplayer free-roaming mode obviously, but the game features also the private group mode (playing among friends), as well as the solo mode, which allows to escape from interacting with other players entirely. Flexibility of this entire game structure is rooted in making the player capable of switching between the modes whenever they see fit, except when a price has been placed on the player's head. In this guide to the Elite: Dangerous you will find plenty of tips and pieces of information which will help you with taking your first steps in your galactic career.